Fr. 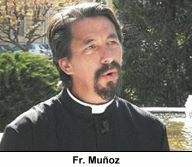 Muñoz’s grandparents married in 1933 and had four children, the youngest of whom – Melinda – is his mother. The couple civilly divorced in 1945 although, as a Catholic, Josephine did not re-marry until after John Wayne’s death. She also never stopped praying for her husband’s conversion – a prayer that was answered in 1978. As a result of a change in Panamanian leadership, Archbishop Clavel was exiled from his native land in 1968. Three years later, Cardinal Timothy Manning, then the Archbishop of Los Angeles, invited Archbishop Clavel to Orange County, where he served as pastoral leader to half of Orange County's 600,000 Latinos. “From an early age he had a good sense of what was right and what is wrong. He was raised with a lot of Christian principles and kind of a 'Bible faith' that, I think, had a strong impact upon him,” said Fr. Muñoz, recalling that his grandfather often penned handwritten notes to the Almighty. Fr. Muñoz summed up the hierarchy of his grandfather’s values as “God coming first, then family, then country.” It’s a triumvirate he sees repeatedly reflected in his grandfather’s films. 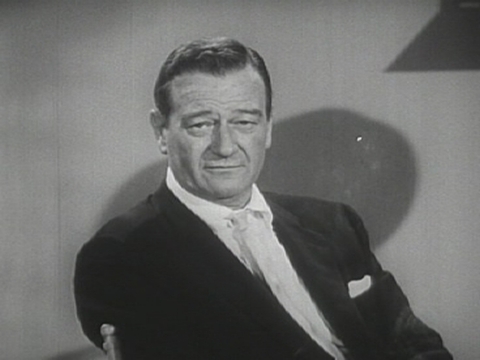 He believes those values are much needed in Hollywood today and, if “the Duke” were still here, he’d be leading the charge. A "hopeful fighter" - an interesting insight and an interesting article. 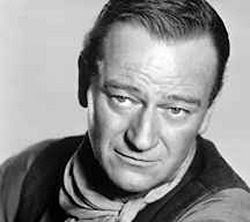 A beautiful story about John Wayne! Thanks so much for sharing it with us. It's nice to find out new things about our beloved stars.